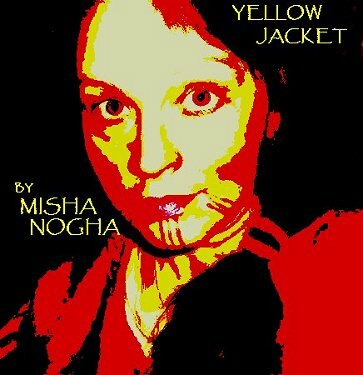 Yellowjacket is a literary novel set in the modern rural west. It is fast-paced, full of surprises, and humorous yet poignant. The story centers around an endearing and unforgettable character who is larger than life yet is a realistic representative of 'the common man'. She has that rare combination of "savvyness" and naiveté, wit and stoicism sometimes found in people who live hard-bitten lives close to the earth. At the beginning of the novel she suffers a devastating accident, the result of which strips her of her sense of self and the stable rural domestic life she has led and leaves her somewhat shattered and living a near feral existence. The book is about her struggle to regain her center and find a new place for herself in the real and sometimes surreal world. Yellowjacket is wildly outrageous, and usually hilarious, but also has moments of pathos, joy, sadness, excitement and danger. Despite all her hardships, the main character hangs onto her humor and childlike sense of wonder and keeps a running commentary that makes the reader laugh out loud yet carries a sting. The writing is richly descriptive and titillates all five senses without being logy or constrained. Yellowjacket has well rounded, believable characters, is sometimes brutally realistic and yet has fanciful shamanic undertones. Interested parties can contact Misha at mishamez@eoni.com . Listen to the soundtrack at Soundclick.